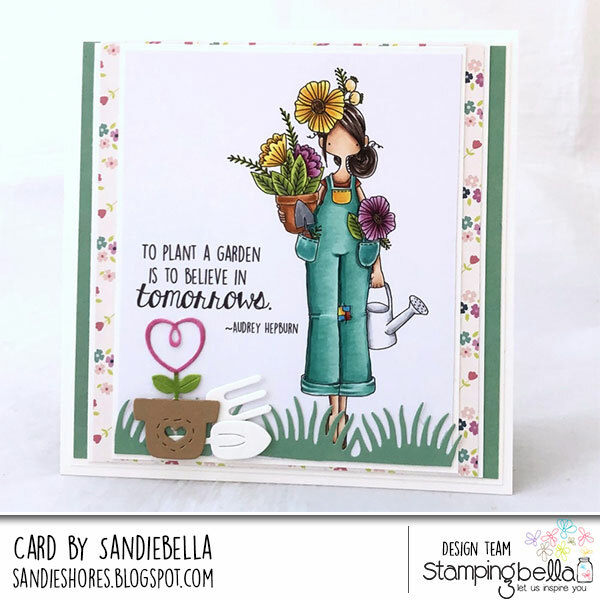 Spotlight On: Brand New Curvy Girl Gardener with Copic Colouring Video! Since we have a BRAND NEW RELEASE just out, I thought I’d use today’s post to spotlight one of my favourites from the release. 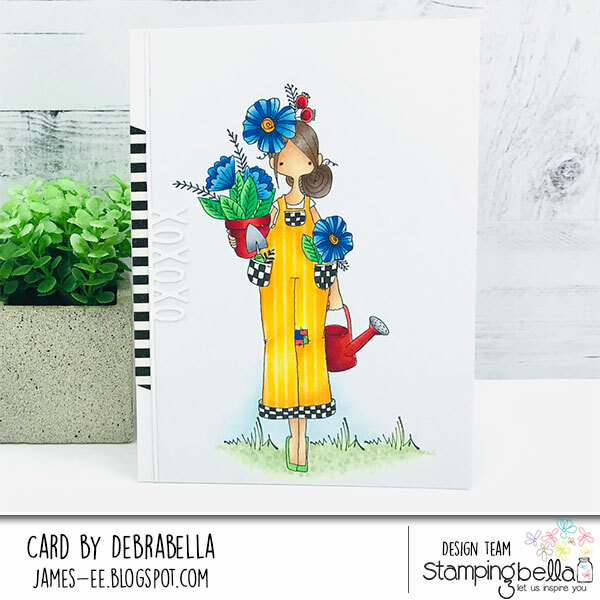 You can of course find her and all 36 other new stamps in the WHAT’S NEW section on the website right now, along with all the coordinating cut it out dies. 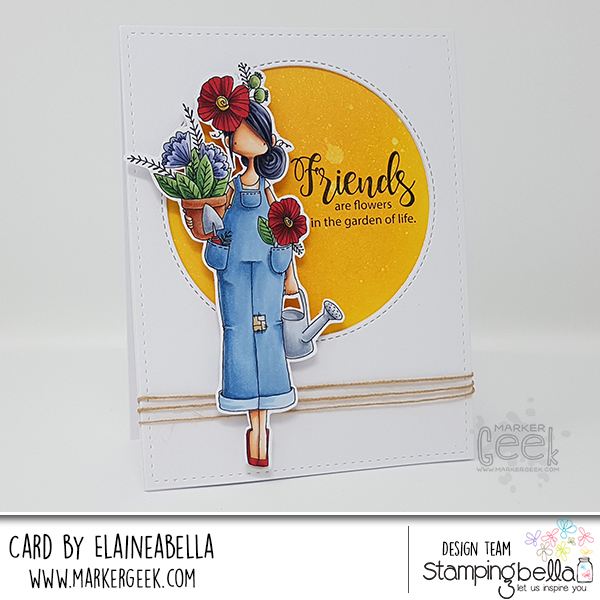 The gorgeous CURVY GIRLS have been a popular addition to the Stamping Bella family of stamps. All available in gorgeous cling mounted turquoise rubber, they have a really fun vibe and are a delight to colour. 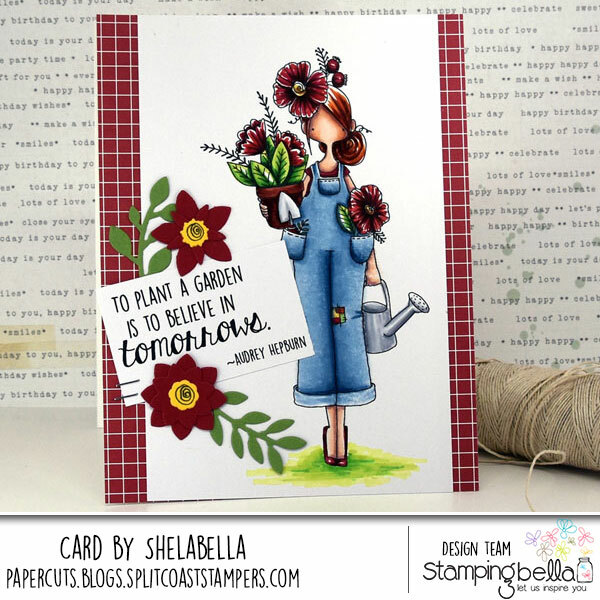 Today’s spotlighted stamp is CURVY GIRL GARDENER and she has a coordinating cut it out die also available. 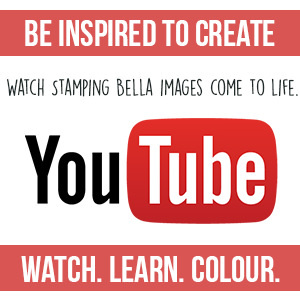 You can watch me – Elaineabella – colouring this new stamp in the video below or in HD over on YouTube. 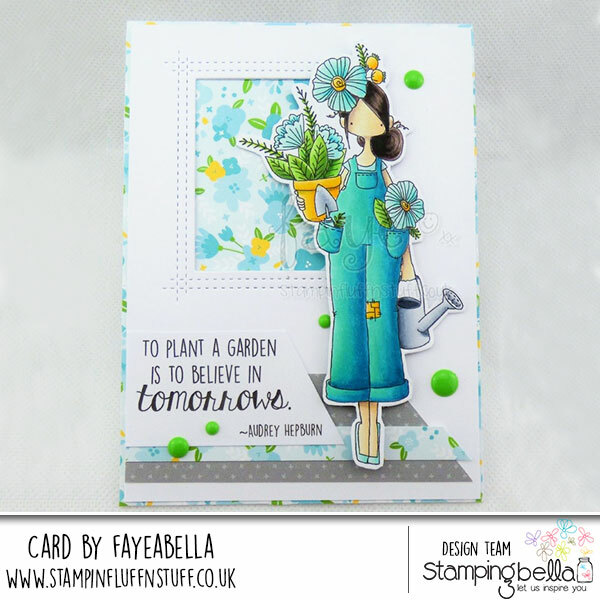 The fantastic Stamping Bella Design Team aka The Babes have all been busy creating beautiful cards using this new stamp set. 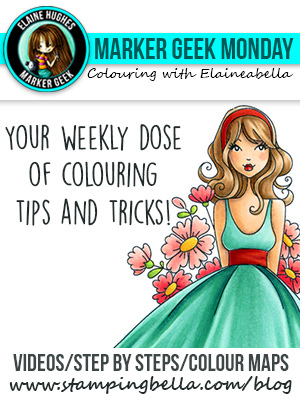 I’m loving all the different colour schemes and card designs. It’s always so much fun to see all the different takes on a stamp set. You really do have the best coloring artists out there! 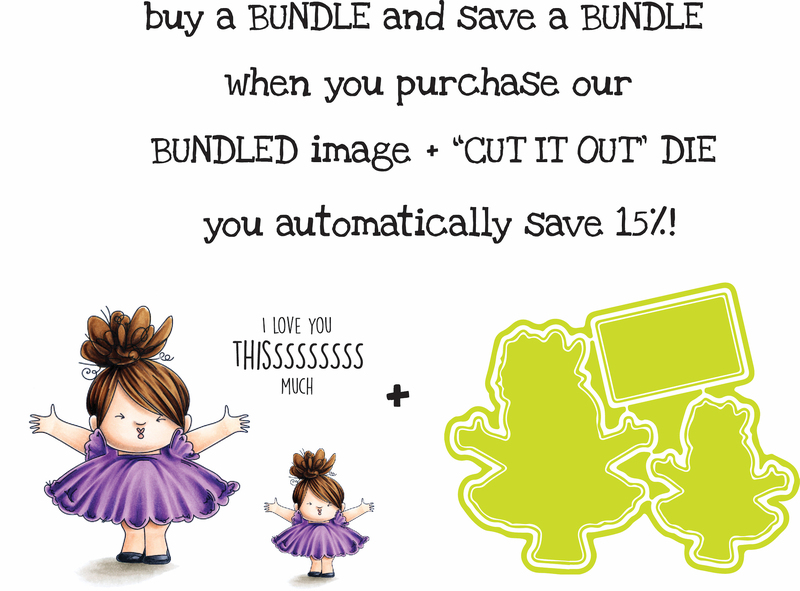 Love that stamp and each and every one of those examples! Beautiful! Omg. I love her!!!!! I must get this one! 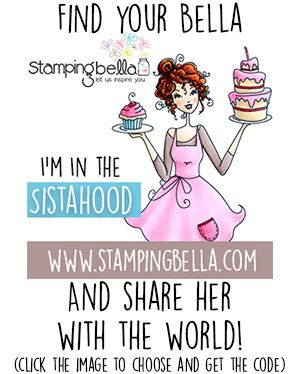 Lucky me won the family basketball bracket and all my winnings are going to Stamping Bella!!! I love this stamp. My granddaughter will be so happy to see a new one of the girls. 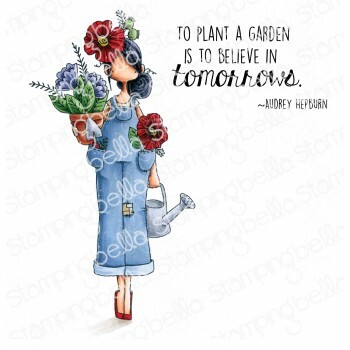 I love the examples that you shared and am inspired. I bought the stamp and die and can’t wait to use them. 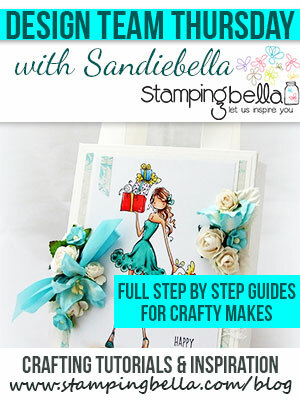 She is lovely and all the sample cards are gorgeous!